With college acceptances trickling in for Thacher seniors, and juniors beginning to start the process, college related stress is skyrocketing among the upperclassmen. This stress is sparked by an increasing national competition and decreasing acceptance rates, that have now prompted students and parents alike to force themselves to find consolation in not reaching for that top school. Academics and those actively involved in the college fervor have responded by declaring that maybe the top schools aren’t everything after all. It seems that college is no longer just about the education one receives, but the name written in big script letters at the top of a diploma. The “big name” schools continue to draw more and more interest from prospective students because an education from a school with a strong reputation is associated with a more intelligent person. But why should just the name of your alma mater define your value? Students feel pressured to go to the “best” school on their list, but what many don’t realize is that those schools may not be the best for them. One will most likely spend four or more years in the college they choose, therefore their decision must be a place they can truly call home. At Thacher, we are privileged to have a culture that is designed for just that, but in college that feeling can be hard to find. I know what you’re thinking. I’m just a junior, what do I know about the college process? I mean I haven’t even taken the SAT yet, let alone dared to look at the dreaded common app. Although I am yet to undergo the process myself, I’m surrounded by friends and family that have, and all were exceedingly open to sharing their opinions and experiences. I’m certain that I’m not the only one constantly getting advice, good or bad, about what’s “best” for my future. Like everyone else receiving all of this advice, we have the delightful task of weeding out what really matters. Here are some of the best pieces of advice I’ve heard. I know it’s cheesy, but no one should make your decisions for you. Not even your parents. The reputation of the school won’t matter when you’re unhappy and unable to perform to your full ability. Recently, there seems to be a large trend of Thacher students transferring or leaving college altogether. 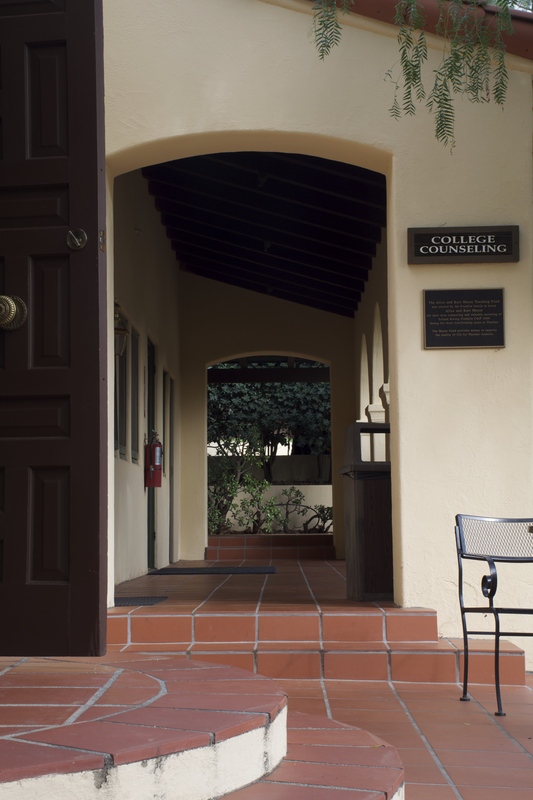 Thacher’s college office reports that in the past three years there has been an average of 9 students that transfer out of their original college. That number doesn’t even include students that have dropped out. Though their reasons vary, the students were ultimately unhappy with their choices. It’s important that you make the best decision for yourself. Find what you’re passionate about and don’t fall into the Ivy League mindset if that’s not what you really want. College might not even be the best choice for you. Obviously a better school is going to be more well known than a lesser known one, but you might be surprised by the quality of schools you may have never heard of. My brother, Ben Eastburn CdeP 2011, is an excellent example of this. When I tell people that my brother goes to Williams College, I often get a puzzled look and a half-hearted, “Cool.” In actuality Williams is an amazing school that is ranked as the #1 Liberal Arts College in the nation by both Forbes and USNews, but because it doesn’t have the reputation of the Ivies it’s often overlooked. In classic Ben style, he refused to even look at schools like Princeton and Yale even though he had the grades. Instead he chose a school that was the best fit for him. You are ultimately going to specialize in at least one field by the end of your college career. It’s okay to not know what you want to do (I honestly have no idea), but try to find a school that has the reputation for the same strengths as you. You wouldn’t go to Princeton for marine biology (they don’t even have a program), but UCSB has a great program. Boston University is known for their journalism program and Kenyon College has one of the strongest English programs in the country. A good reputation of a specific program can carry just as much weight in the workplace as a big name school. Just like Thacher, you are going to be living and working with the students at your college, in most circumstances, for four years. So you might want to ask yourself, do I fit in with those around me? Choose a school where the students are striving to improve not only themselves, but the world around them. Look for schools with students that value social justice, diversity (of all kinds), and making connections. Students that can encourage and motivate you to better yourself will ultimately provide you with the best learning and social experience necessary for life after college. There is obviously a huge disconnect with how we choose our colleges and the actual experience of higher education. 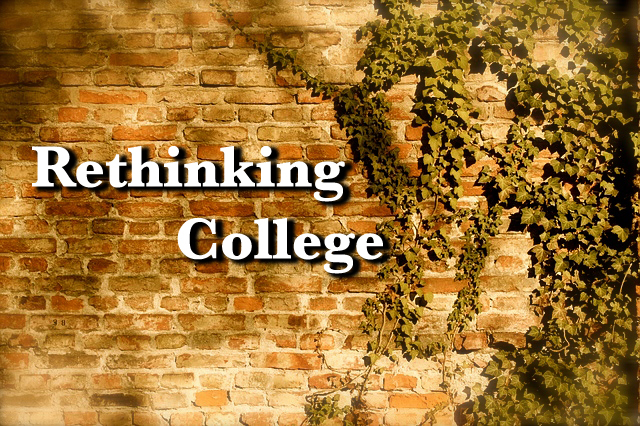 Is college about how other people will view us or how we can grow as scholars and people? Maybe it’s time to reconsider what a good college really is. I sat down with him to hear a little bit more of his opinions and left with this wonderful piece of advice. Next postShould You Wear Mucking Boots In The Dining Hall? 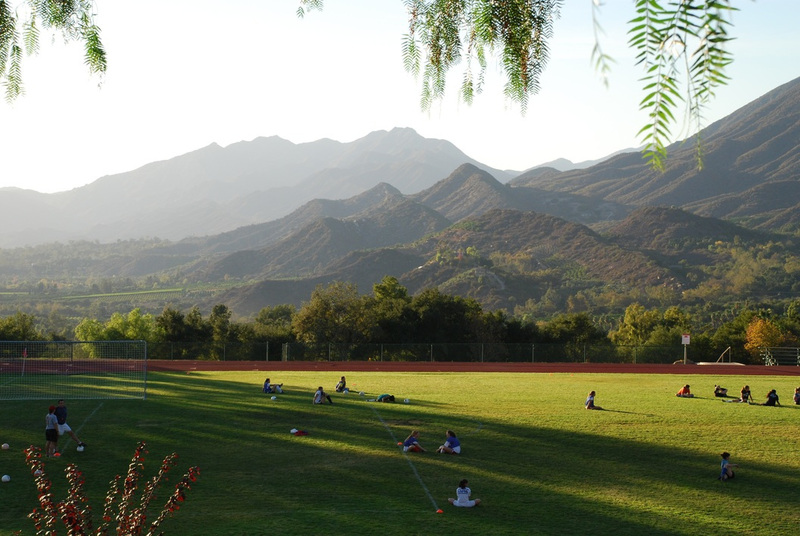 I also think another important thing to add is to consider the fact that most of Thacher’s student body is quite wealthy, and as such the college counseling office tends to direct students to liberal art schools & expensive private schools that may not be the best bet for the student, both financially and academically. I feel like Thacher students are pressured heavily to apply to Ivies and top private schools at the expense of what may be best for them. 1. When you apply to top school with not-so-great qualification, it is not courage. When you decline the acceptance from Yale and go to UCSB for its strong program, it is courage. 2. Life success (and happiness) could come when your resume is fantastic. But they come more easily when you have patience, courage and people skill. Likewise, if you don’t have patience, courage and people skill, life success hardly materializes even if you go to Harvard. I have so many people around me with an IVY diploma who lead an unhappy and/or unsuccessful life both at work and home. 3. You are blessed at Thacher because you will have learned patience and courage through the outdoor and horse program better than your counterpart at other top boarding school. Trust me, not many top boarding schools actually teach that. 4. You may never realize what I have been telling you here. But I am sure you will do so during the course of your life and career.